Are you getting bored of the same old drip coffee or Keurig pod coffee every morning? Perhaps you’re slowly but surely garnering an interest for home-brewed craft coffee. Regardless, using a French Press is one of the easiest and most satisfying ways to brew coffee, especially for at-home beginners. The French Press has an interesting history, dating back to approximately 1929 when Milanese designer, Attilio Calimani, patented his design. About 30 years later, Faliero Bondanini created his own version of the French Press, obtained a patent, and began manufacturing the brewer under the brand, “Melior.” Soon after, the popular coffee and kitchenware brand, Bodum, was a driving force in popularizing this simple home brewer throughout Europe. 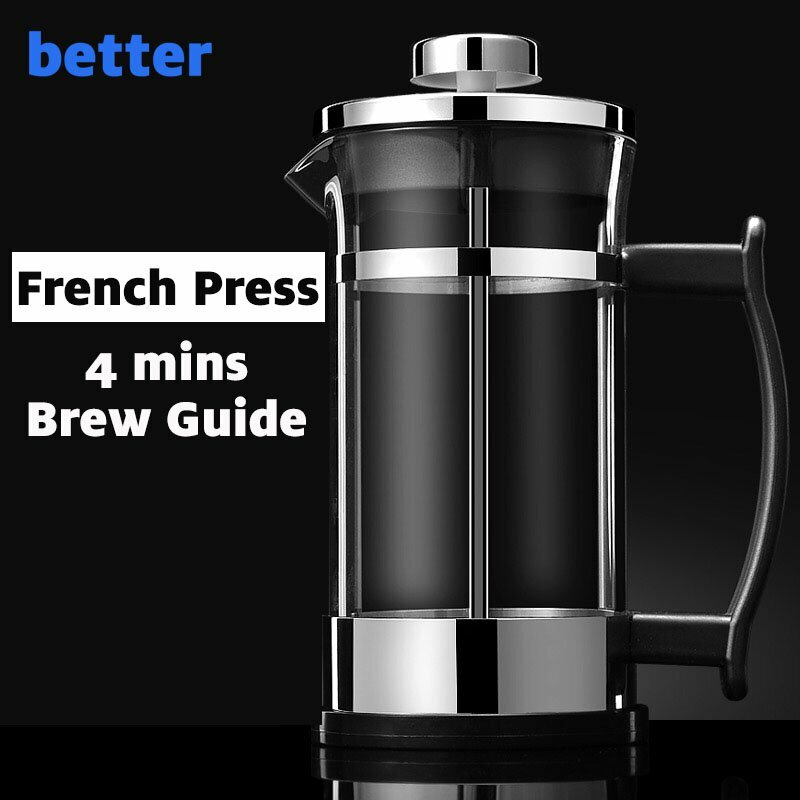 Today, the French Press is used to brew coffee in cafes, restaurants, and homes across the world! 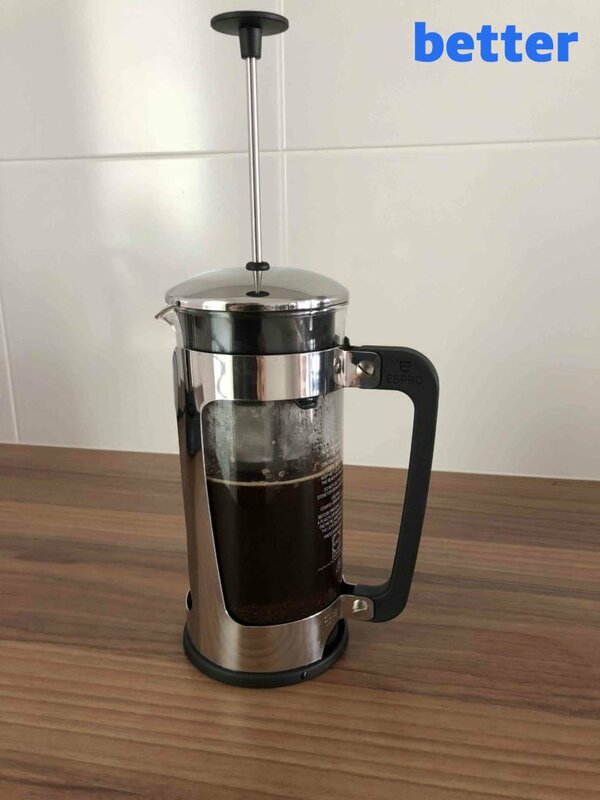 Although the immersion-style brewing of a French Press is a little more forgiving than a precision pour-over brew such as Better's Pour Over Coffee Maker, there are a few things you must always keep in mind. Have you ever wondered why coffee shop drinks just taste so good? Among the many reasons is the water they use to brew their coffee. Filtered water will help you achieve your desired taste and flavor profile, while eliminating any impurities found in tap water. 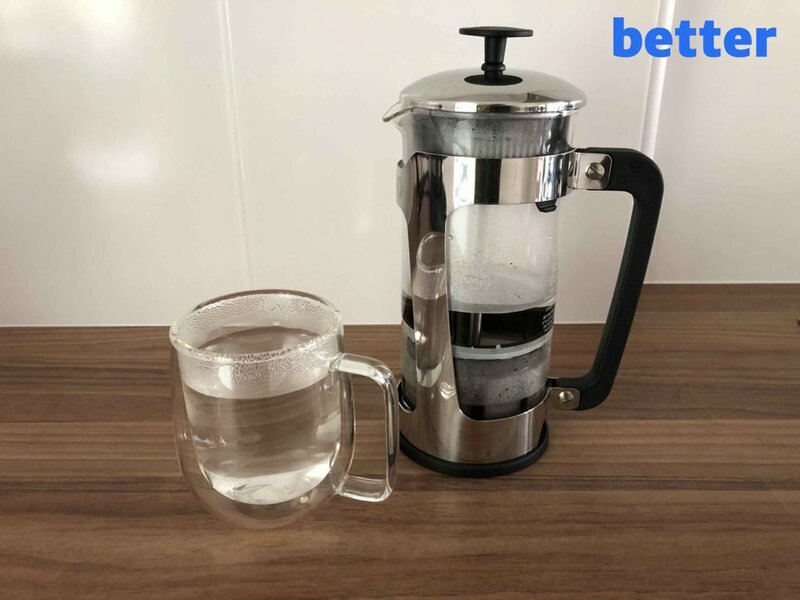 Even using water filtered through a Brita pitcher will work to brew tasty, French Press coffee. 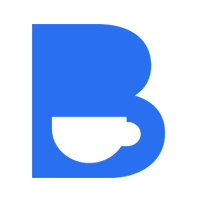 While the National Coffee Association suggests a brew ratio of 2 tablespoons of coffee to 6 ounces of water, it may take some time to find your personal ideal ratio. Many coffee shops also subscribe to the 1:16 ratio of 16 grams of coffee per 1 gram of water. Since French Presses elicit a bold flavor profile due to the immersion of the grounds, you may find that the standard ratios are too weak. Or, if you’re new to coffee, they may even be too strong for your preferences. 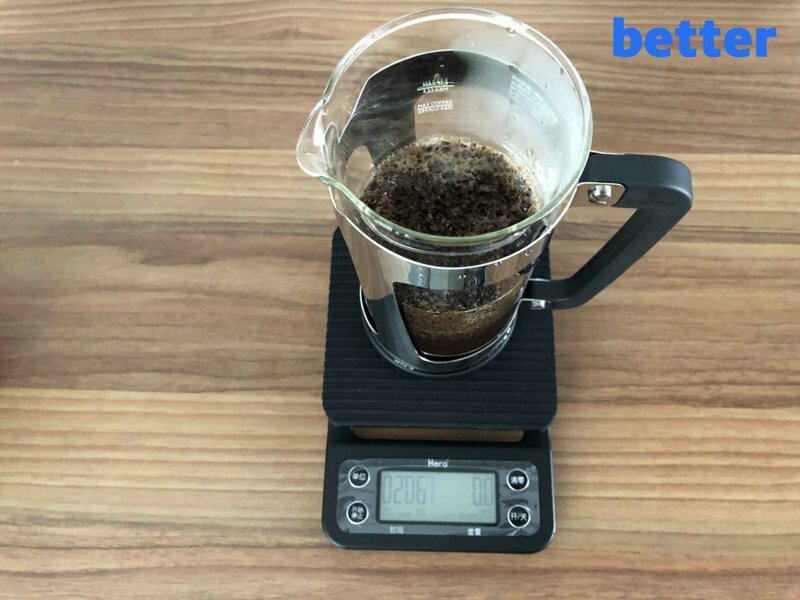 Be sure to experiment with your brew ratios to discover which coffee to water measurements result in your perfect cup of coffee. For a proper cup of coffee, you must heat your water to around 195-205℉. This is where an electric gooseneck kettle comes in handy! If you don’t have this type of kettle, no worries. Simply heat your water in a tea kettle until boiling. After reaching the boiling point, let your water sit for a minute or so, allowing it to cool down slightly before pouring it into the French Press. Timing is key when brewing French Press coffee. Be patient! Don’t rush through the process or you’ll be left with not-so-tasty coffee. For this recipe, we’ll make an 18-ounce cup of coffee with the 15:1 ratio, meaning you’ll need 525 grams of water and 35 grams of coffee. 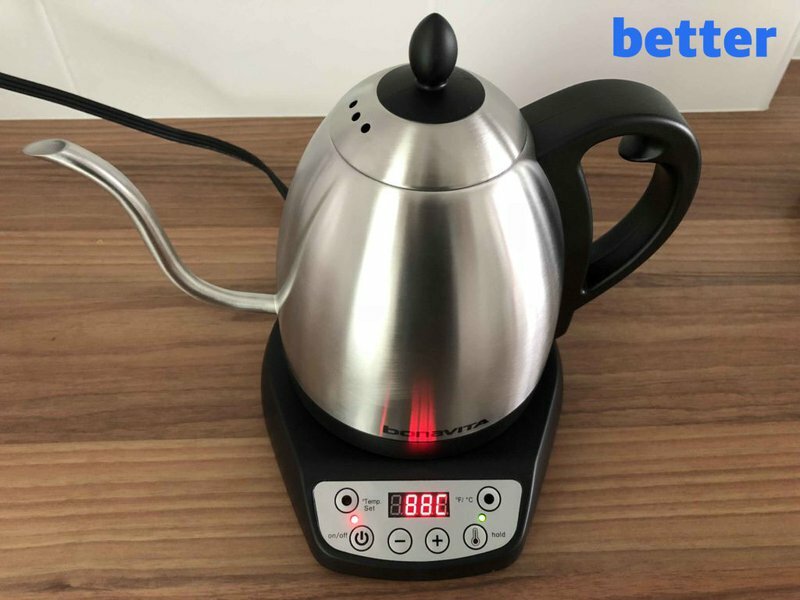 Fill your electric kettle with water and let it begin to heat up. While your water heats, it’s time to grind your coffee. 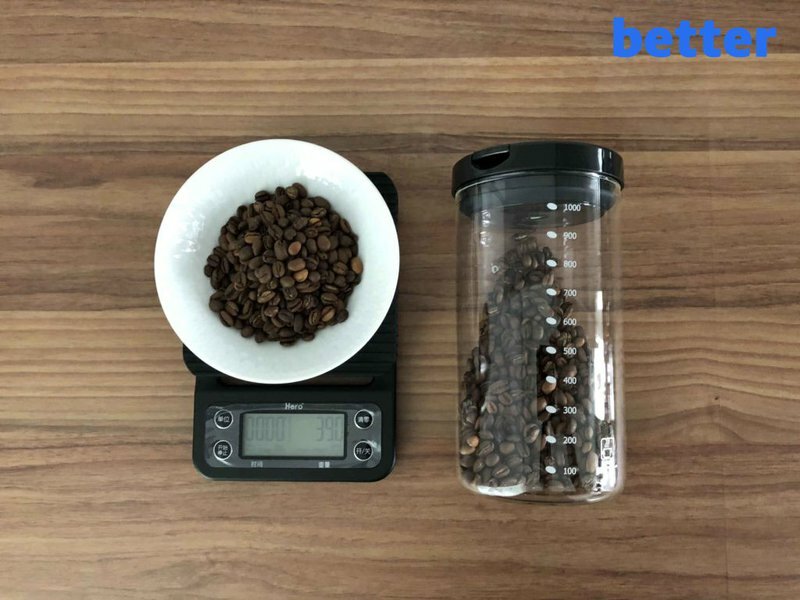 Turn on your digital scale and weigh out 35 grams of coffee. Be sure to tare your scale to zero before weighing. Once you have enough coffee, use a hand or burr grinder to achieve a coarse grind. French Presses require an even, coarse grind for the best results. 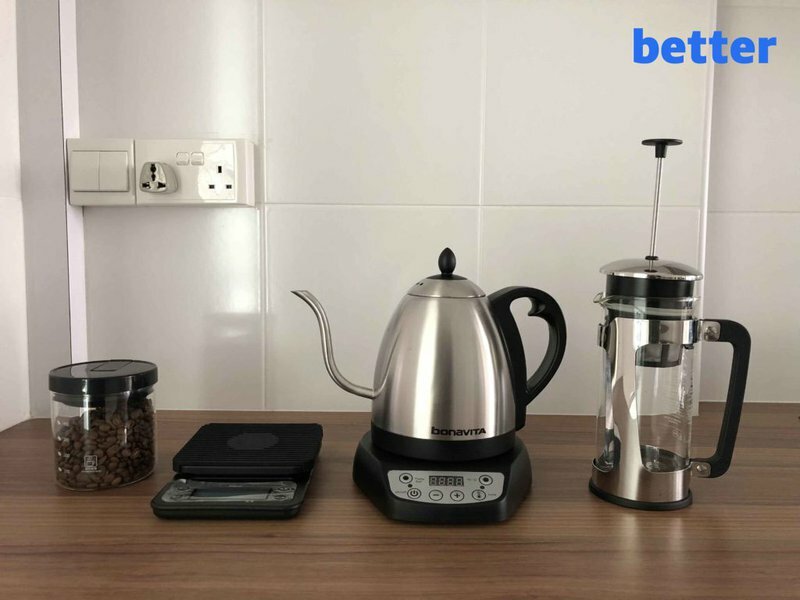 Before adding the freshly ground coffee to the French Press, quickly warm up your mug and French Press with some water from the electric kettle. Pour this out once preheated. Place the French Press on the scale and tare it to zero. 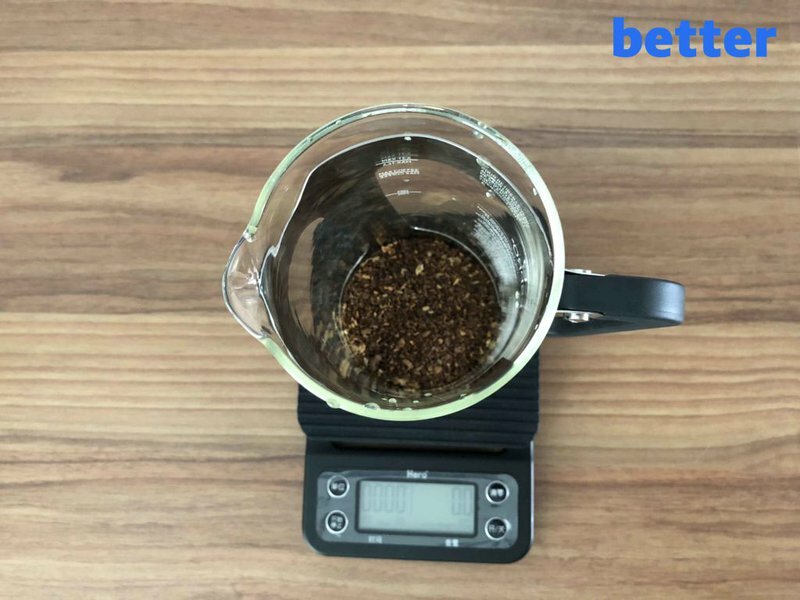 Add your coffee grounds in and ensure it is still 35 grams. Tare the scale to zero once again and begin your timer. When brewing coffee, you begin with the bloom. Do so by pouring enough water to soak the grounds. Let this sit for approximately 30-45 seconds. This process allows the coffee grounds to emit the best notes and aromas. 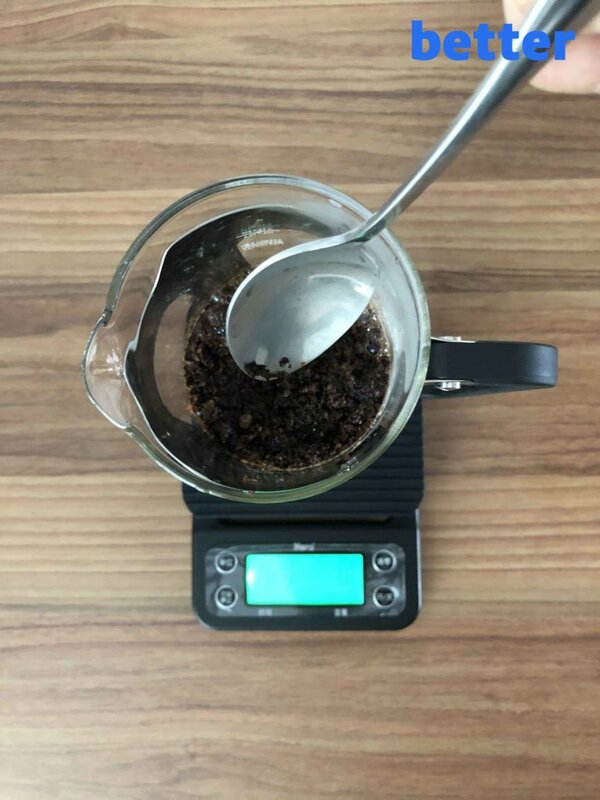 After letting the coffee bloom, many prefer to stir the coffee with a wooden spoon or stirrer at this point to ensure the grounds are evenly soaked. Next, begin slowly adding the water in a circular motion, immersing all the grounds. Do so until the scale reads 525 grams. Do not rush this process! Add the plunger and lid back onto the french press, but do not plunge. Let the grounds steep for 3.5-5 minutes (depending on your preference). After the time is up, slowly press down on the plunger, pour, and enjoy! To clean up, remove the plunger and separate the parts to thoroughly clean. Dispose of the coffee grinds and wash your French Press for the next use. Quick cleaning tip: Leftover coffee grounds creating a mess in your kitchen sink? 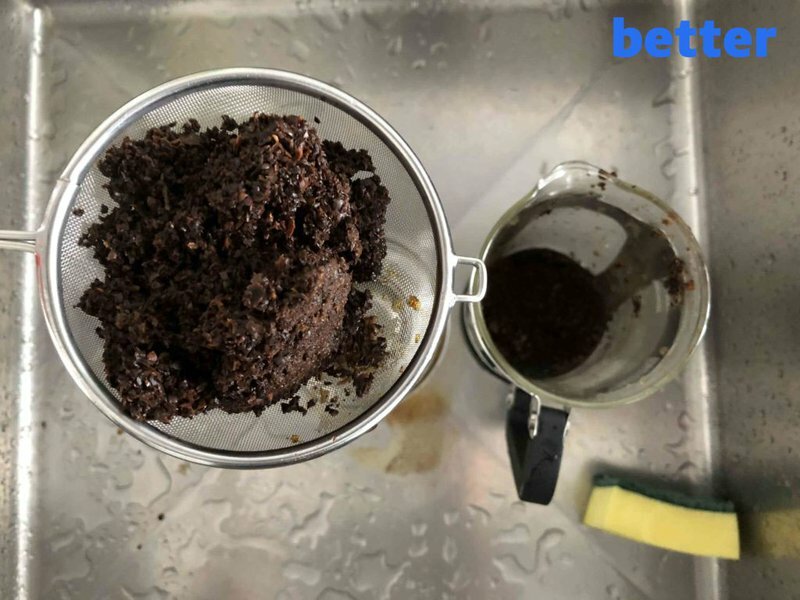 Simply use a drainer/strainer similar to the one in the image above and pour your leftover coffee grounds and “Voila!” No more messy kitchen sink. What other cleaning tips you have tried and it worked? Share your tips with us at the comment section below.